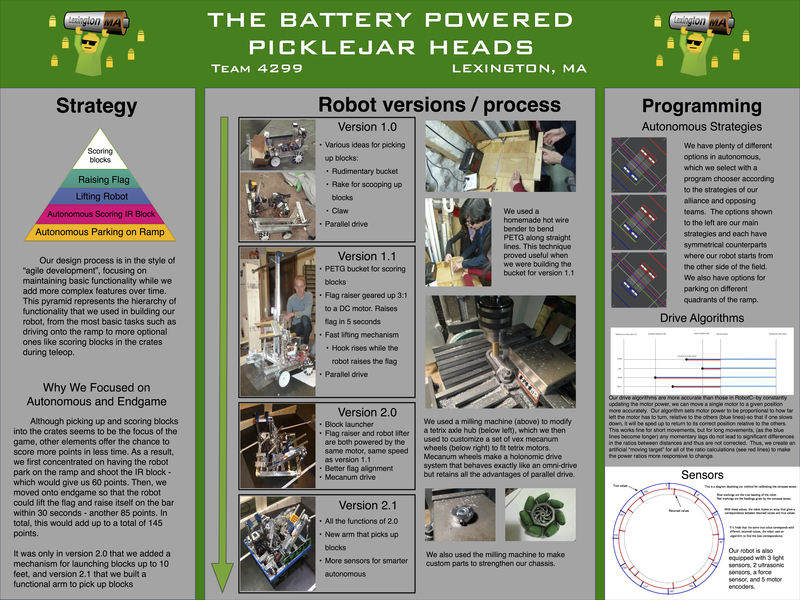 The Battery Powered Picklejar Heads | A FIRST Tech Challenge Robotics Team from Lexington, MA! 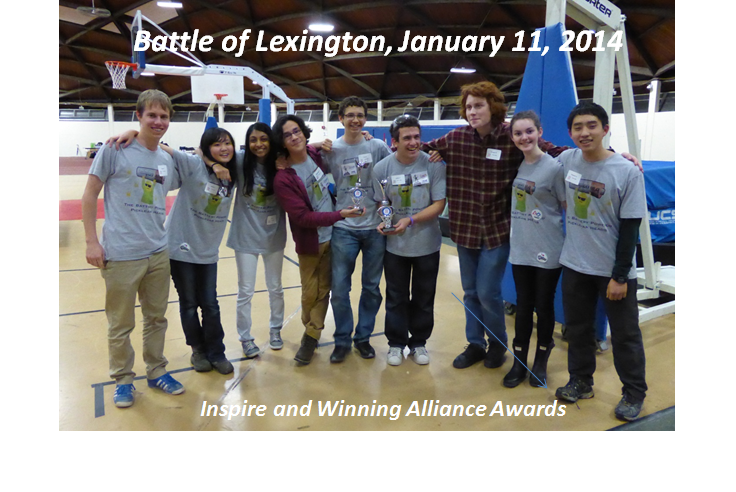 A FIRST Tech Challenge Robotics Team from Lexington, MA! Check Out our Sample Code! This is for our mecanum drive system! 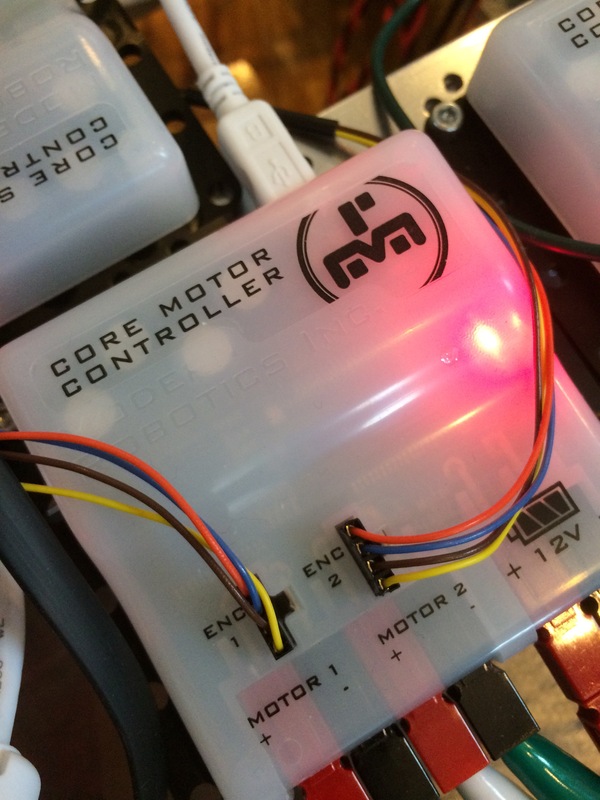 We’re very excited to see the new kit from our friends at Modern Robotics! With a few screws and a quick wiring job, it took us just one afternoon to set up—and it’s quite an upgrade. We used our old chassis from last year, and we’re able to replace our original electronics without too many problems. 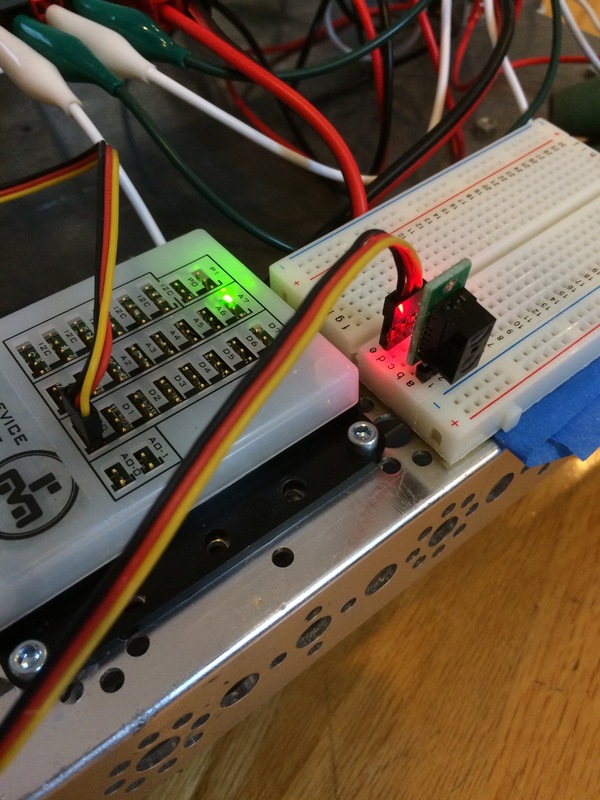 The new setup includes a Distribution Module that distributes power and data to the controllers via pre-crimped cables and micro USBs (with their own ferrite chokes!). We ran out of crimped wires, but alligator clips seem to be working fine. 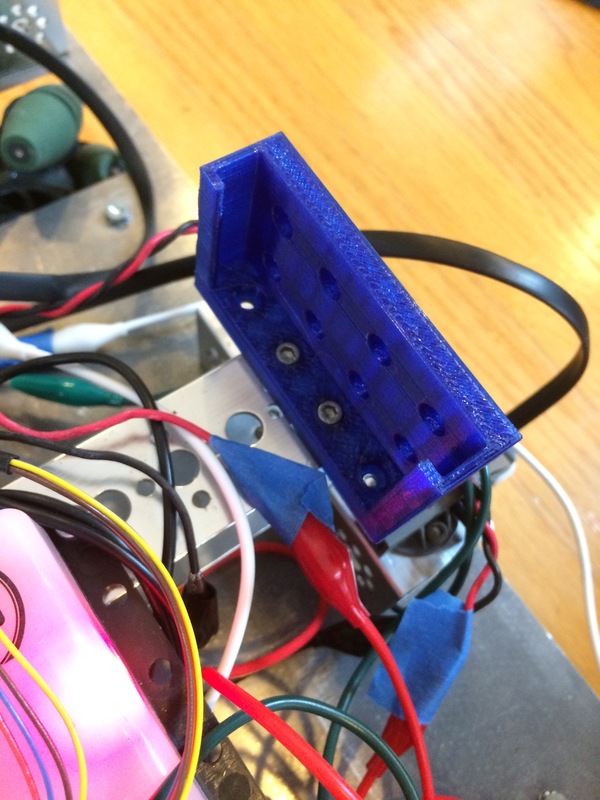 Since the chassis uses a mechanum drive, we had to modify the given code to control it properly, we’ll post the code for that soon. 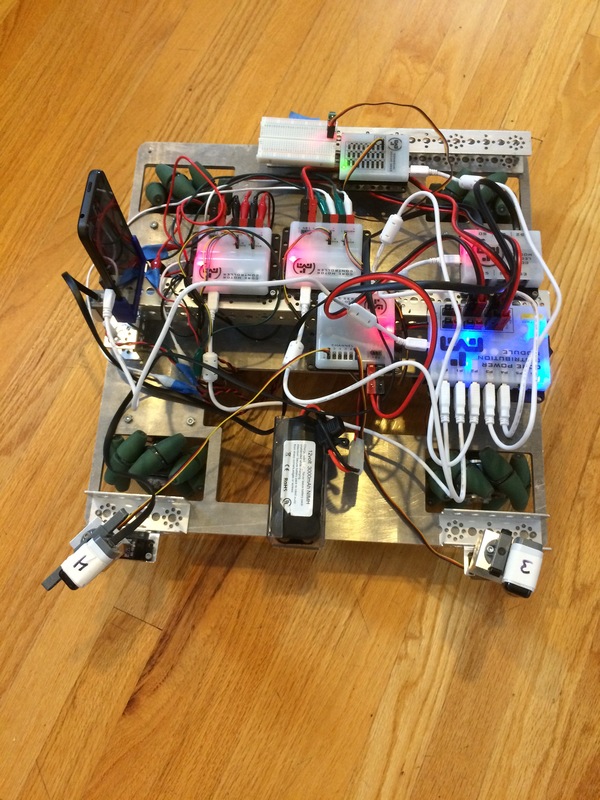 We’ve been testing out sensors! So far the HiTechnic ones work, but we’re still figuring out the software for the custom sensors and the ones built into the phone. 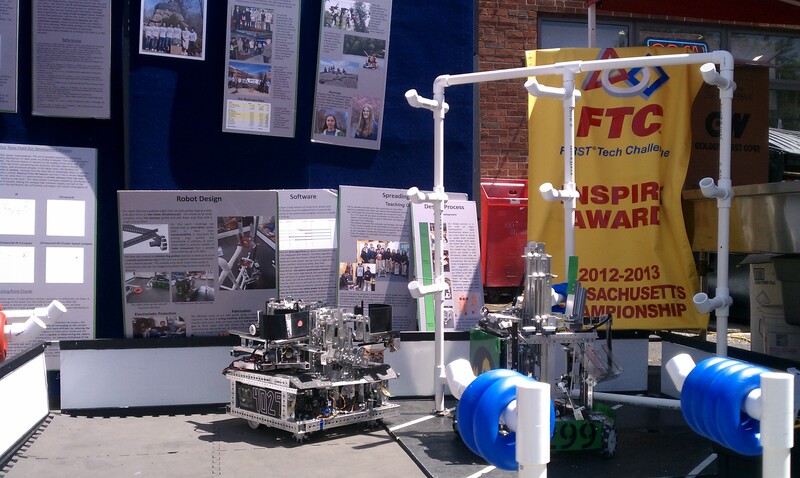 Cool New FTC Setup for 2015-2016 Season! When we found out that FIRST was releasing a shiny new setup for FTC robots, we couldn’t help but get our hands on it and try out the new tech! 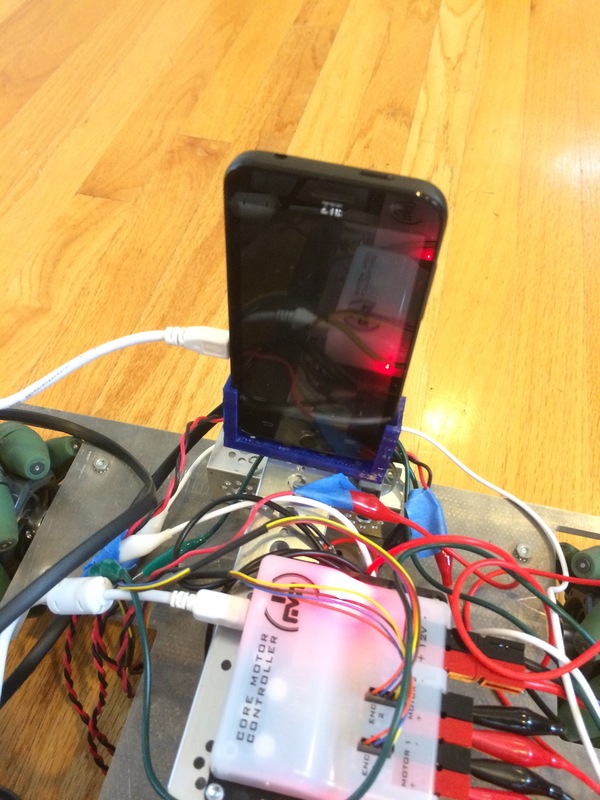 The new system ditches the NXT and Samantha module in favor of an off-the-shelf Android phone and Modern Robotics controllers. 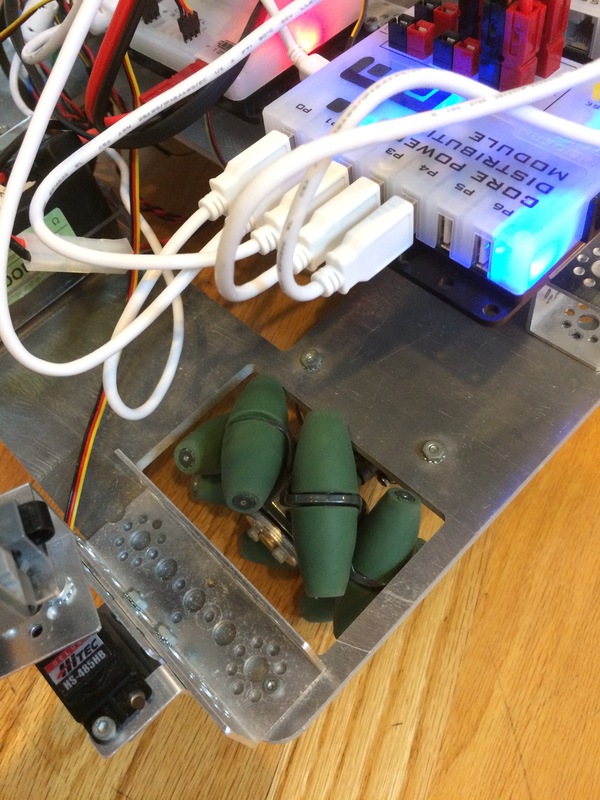 From a technical perspective, there are a few key changes that will make a notable difference for teams: The new controllers use modular cable plugs which makes plugging in motors easier, but does require crimping. The same plugs are used for power distribution, which is a great improvement over the old system. 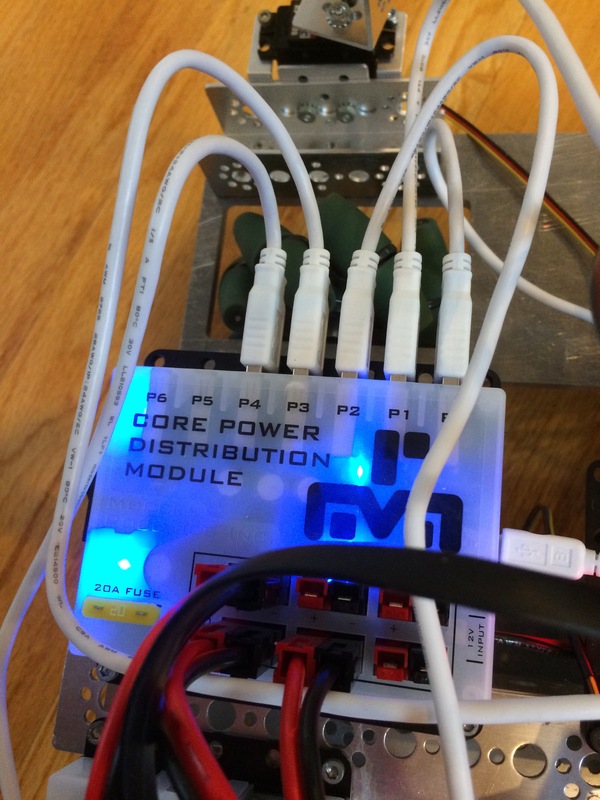 The days of daisy chaining motor and servo controllers are gone, now there’s a nifty power rail built into the “Core Power Distribution Module.” Also from the core module are 7 USB ports for attaching all other devices and interfaces. It is pretty clear that some steps have been taken to prevent ESD issues, as there are chokes on every USB cable and the controllers have stand-off plates built in. We found this thread helpful for installing these three necessary components: the JDK, Android Studio, and the FTC SDK. In following this manual, we found that step 9 was missing one necessary package, which was “Google APIs 19.” Also, accepting every license individual is a pain, so be sure to select the header package license and click accept. 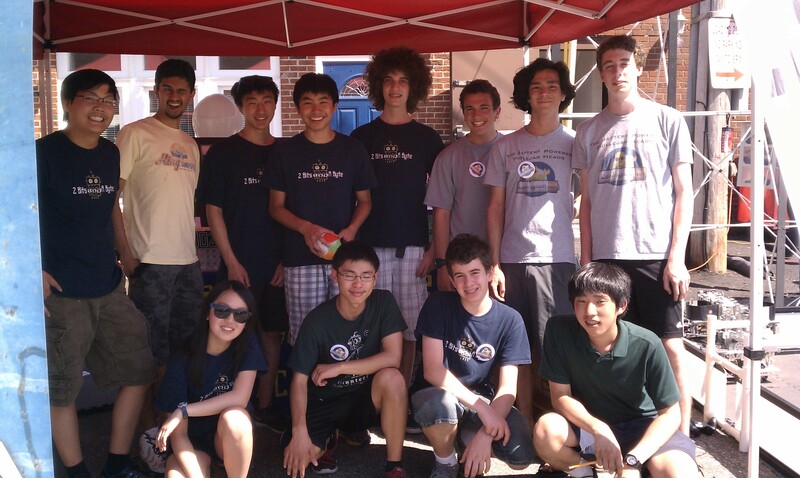 This past Saturday, the team participated in our town’s annual “Discovery Day” with our other local team: 2 Bits and a Byte. 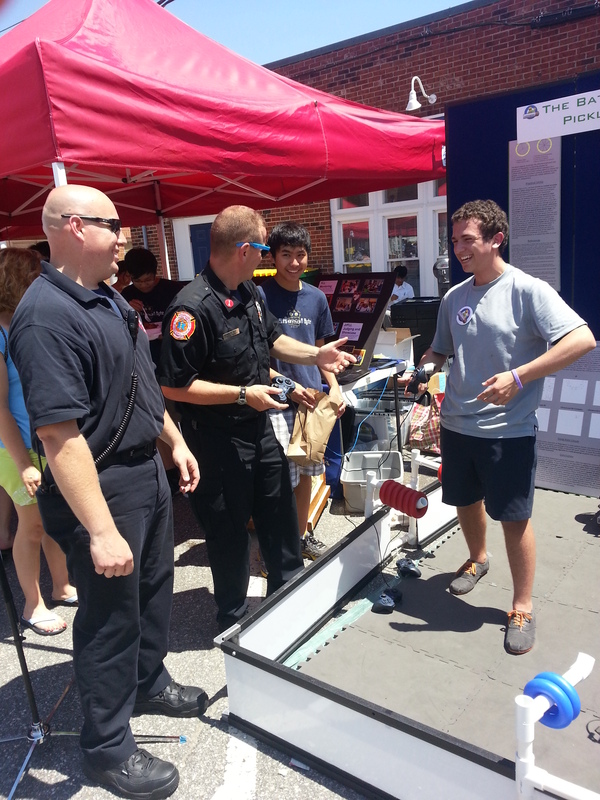 We brought the field and our robot and let people drive it around. It was a blast, we can’t wait to do it again next year! 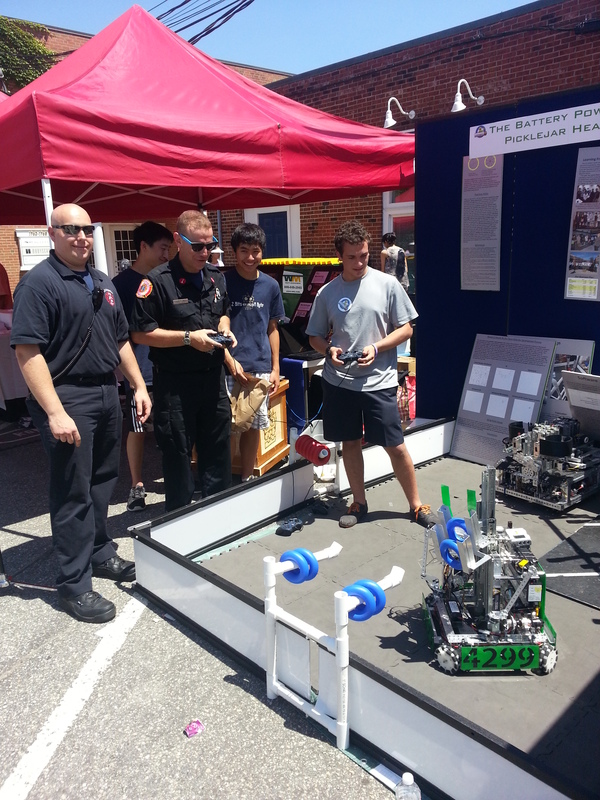 Lexington firemen driving our robot! We are going to Worlds! We're off to St. Louis!